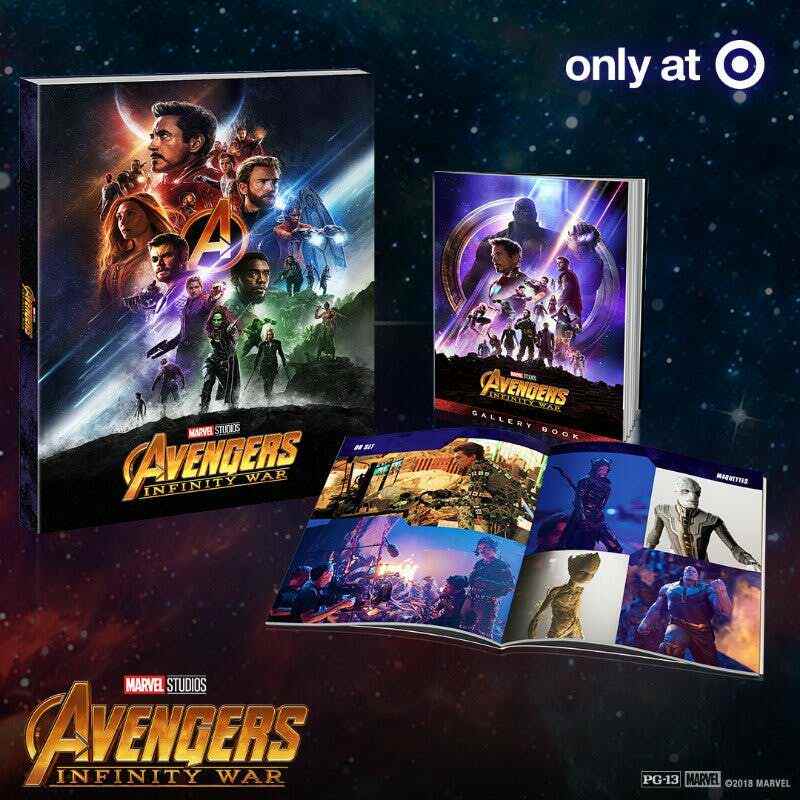 Walt Disney Home Entertainment has officially announced that it will release on 4K Blu-ray and Blu-ray Ryan Coogler's Black Panther (2018), starring Chadwick Boseman, Andy Serkis, Michael B. Jordan, Lupita Nyong'o, and Danai Gurira. The two releases will be available for purchase on May 15. HBO Home Entertainment has officially announced that it will release on 4K Blu-ray Game of Thrones: The Complete First Season. The release will be available for purchase on June 5. Universal Pictures Home Entertainment has officially announced that it will release on 4K Blu-ray, 3D Blu-ray, and Blu-ray Steven S. DeKnight's film Pacific Rim: Uprising (2017), starring John Boyega, Scott Eastwood, Cailee Spaeny, Charlie Day, and Burn Gorman. The three releases will be available for purchase on June 19. Twentieth Century Fox Home Entertainment has officially announced that it will celebrate the 30th anniversary of John McTiernan's classic action thriller Die Hard (1988) with a brand new 4K Blu-ray release of the film, which will be available for purchase on May 15th. Warner Bros. Home Entertainment has officially announced that it will release on 4K Blu-ray, 3D Blu-ray, and Blu-ray: Roar Uthaug's action film Tomb Raider (2018), starring : Alicia Vikander, Walton Goggins, Daniel Wu, Dominic West, and Hannah John-Kamen. The three releases will be available for purchase on June 12. Warner Bros. Home Entertainment has officially announced that it will release on 4K Blu-ray 3D Combo Pack and and Blu-ray Steven Spielberg's film Ready Player One (2018), starring Tye Sheridan, Olivia Cooke, Ben Mendelsohn, Lena Waithe, and T.J. Miller. The three releases will be available for purchase on July 24. Warner Bros. Home Entertainment has officially announced that it will release on 4K Blu-ray, 3D Blu-ray, and Blu-ray Brad Peyton's action film Rampage (2018), starring Dwayne 'The Rock' Johnson, Jeffrey Dean Morgan, Malin Akerman, Naomie Harris, and Marley Shelton. The three releases will be available for purchase on July 17. Paramount Home Media Distribution has officially announced that it will release on 4K Blu-ray and Blu-ray John Krasinski's film A Quiet Place (2018), starring Emily Blunt, John Krasinski, Millicent Simmonds, Noah Jupe, and Cade Woodward. The two releases will be available for purchase on July 10. 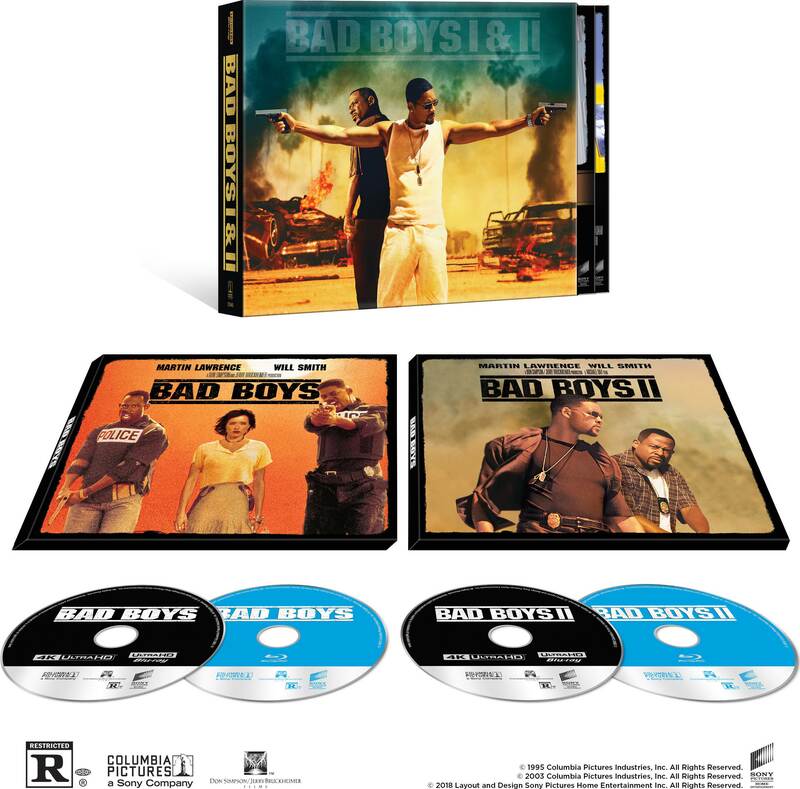 Sony Pictures Home Entertainment has officially announced that it will release the popular Bad Boys films on 4K Blu-ray. The collection will be available for purchase on September 4. The Deadpool 2 Super Duper [email protected]%!#& Cut Blu-ray (featuring 15 minutes of brand-new action and jokes lovingly inserted throughout) will be out on August 21, 2018. The Mad Titan (6:34) – Explore the MCU's biggest, baddest villain, his trail of influence through the stories, and the existential threat he represents. Beyond the Battle: Titan (9:36) – Dive into the climactic struggle on Thanos' ruined world, including the epic stunts and VFX, to uncover the source of its power. 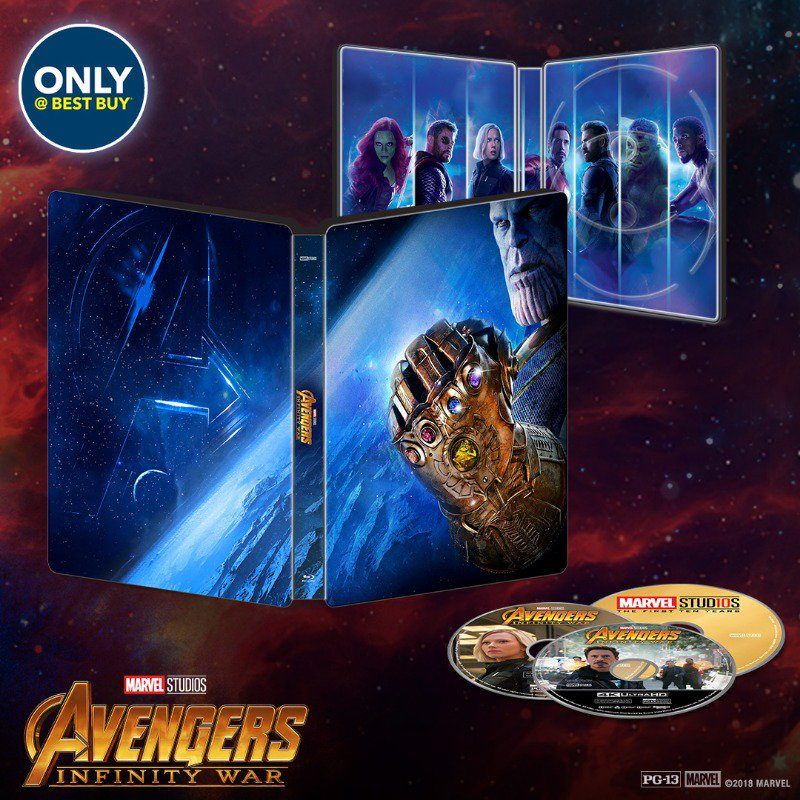 Still no word on which exclusive release will carry the supposedly extra Marvel: 10 years bonus disc. Shout Factory announced today that it is preparing a SteelBook Edition of Oliver Stone's classic film Platoon (1986), starring Tom Berenger, Keith David, Willem Dafoe, Forest Whitaker, and Francesco Quinn. The release, which will be sourced from a brand new 4K remaster approved by director Stone, will be available for purchase on September 18. 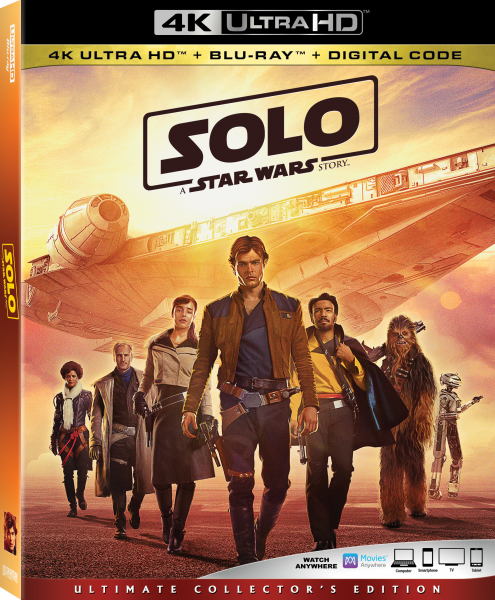 Lucasfilms announced that Solo: A Star Wars Story will be available on Blu-ray 4K Ultra HD, Blu-ray, DVD and On-Demand on September 25. * Solo: The Director & Cast Roundtable – Sit down with director Ron Howard and the stars for an intimate and entertaining discussion of the film’s making. * Team Chewie – See what it takes to bring your favorite Wookiee to life in this lighthearted look behind the scenes. * Kasdan on Kasdan – Iconic Star Wars screenwriter Lawrence Kasdan and son Jonathan share what it was like to write the movie’s script together. * Escape from Corellia – Get behind the wheel for the making of this high-octane chase through the streets of Corellia. * The Train Heist – Explore the challenges and thrills of creating this action-packed sequence, including its remote location and spectacular effects. * Becoming a Droid: L3-37 – Meet the newest droid—and the talented actor who helps bring her to life. * Scoundrels, Droids, Creatures and Cards: Welcome to Fort Ypso – Take an in-depth tour of the rough-and-tumble bar where strangers mix and gamblers risk all in the legendary card game, Sabaac. * Into the Maelstrom: The Kessel Run – Join Han and Chewie at the controls of the Millennium Falcon to see how this legendary moment in Star Wars history unfolds. * The Millenium Falcon: From Page to Park – An exclusive look at the history of the most famous ship in the galaxy, its origin and development, and how it will translate in one of the most anticipated expansions in Disneyland’s history. The newly remastered Batman: The Complete Animated Series box set will be available for purchase on October 16. Universal Pictures Home Entertainment will release J.A. Bayona's blockbuster Jurassic World: Fallen Kingdom on 4K Blu-ray, 3D Blu-ray, and Blu-ray. The releases will be available for purchase on September 18. Walt Disney Home Entertainment has officially announced that it will release on 4K Blu-ray and and Blu-ray Brad Bird's Incredibles 2. The releases will be available for purchase on November 6. Paramount Media Home Distribution has officially announced that it will release on 4K Blu-ray and Blu-ray Christopher McQuarrie's action thriller Mission: Impossible - Fallout (2018), starring Tom Cruise, Rebecca Ferguson, Henry Cavill, Vanessa Kirby, and Simon Pegg. The two releases will be available for purchase on December 4. Sony Pictures Home Entertainment has announced that it will release on 4K Blu-ray and Blu-ray Ruben Fleischer's blockbuster Venom (2018), starring Tom Hardy, Michelle Williams, Riz Ahmed, Scott Haze, and Reid Scott. The two releases will be available for purchase on December 18, 2018. Warner Bros. Home Entertainment has officially announced that it will release on 4K Blu-ray and Blu-ray Bradley Cooper's film A Star Is Born (2018), starring Bradley Cooper, Lady Gaga, Sam Elliott, Andrew Dice Clay, and Bonnie Somerville. The two releases will be available for purchase on February 18, 2019. Universal Pictures Home Entertainment has officially announced that it will release on 4K Blu-ray and Blu-ray Damien Chazelle's film First Man (2018), starring Ryan Gosling, Claire Foy, Kyle Chandler, Corey Stoll, and Pablo Schreiber. The two releases will be available for purchase on January 22, 2019. Warner Bros. Home Entertainment has officially announced that it will release on 4K Blu-ray and Blu-ray James Wan's film Aquaman (2018), starring ason Momoa, Amber Heard, Willem Dafoe, Nicole Kidman, and Patrick Wilson. The two releases will be available for purchase on March 26, 2019. Paramount Home Media Distributions has officially announced that it will release on 4K Blu-ray and Blu-ray Travis Knight's Bumblebee (2018), starring Hailee Steinfeld, John Cena, Jorge Lendeborg Jr., Pamela Adlon, and Kenneth Choi. The two releases will be available for purchase on April 2, 2019. Sony Pictures Home Entertainment has officially announced that it will release on 4K Blu-ray and Blu-ray Spider-Man: Into the Spider-Verse (2018). The two releases will be available for purchase on March 19, 2019. Sony Pictures Home Entertainment has officially announced that it will release on 4K Blu-ray Ridley Scott's blockbuster Black Hawk Down (2001), starring Josh Hartnett, Ewan McGregor, Tom Sizemore, Eric Bana, and William Fichtner. The release will be available for purchase on May 7, 2019.